Listen, we get it. Of all the products we could talk about I’m going to assume that greenhouse plastic doesn’t exactly fill you with excitement. I mean, after all, it’s just plastic. How helpful could it be? Used correctly, greenhouse plastic is one of the most solid investments you could make on your farm, bar none. For farmers who live in places that experience actual seasons (sorry, SoCal), the idea of season extension is critical to your business, especially with market garden farms. As it is so important to extend your seasons to maximize production, we are here to walk you through everything you need to know about greenhouse plastic. We’ll then let you know what we consider to be the best greenhouse plastic on the market today. There are going to be a couple things ta solid consider before you buy your greenhouse plastic. First and foremost, it will be important to understand how you will be using your greenhouse plastic. Besides that, we’ll get you up to speed on the industry jargon and let you know what to look for. First and most importantly, you have to know how long you would like to use it and how you will be using your greenhouse plastic. If you’re looking to only use the plastic for a single season then you can opt for a thinner material. However, it’s obvious that most people would like to get several years out of their plastic and therefore they are going to opt for a greenhouse plastic with the traditional thickness. Also, take time to think about the predictability and the variability of the weather in your area. Unsurprisingly, torrential weather like high winds, hail and hurricanes or tornadoes may damage your plastic and render it useless. Given that situation, it may be best to look for a more heavy duty, though slightly more permanent, solution. You will also want to consider the location of where your greenhouse plastic will be used, as falling branches from nearby trees could potentially damage the plastic. One of the most important factors to consider when buying greenhouse plastic is the thickness of the material. As expected, thicker plastics are more durable and can be used for longer durations. While it may be confusing for those who are fans of the metric system, the most commonly used unit for measuring greenhouse plastics thickness is the mil, but it is important to note that that does not mean millimeter. Instead, a mil simply refers to one-thousandth of an inch. For a bit of perspective, the thickness of a human hair would be approximately equal to a single mil. What you will see most frequently when searching for greenhouse plastic is a thickness of 6 mil, as that thickness of plastic is great for season extensions and can last many years if properly cared for. While you can buy thinner greenhouse plastic, we don’t recommend buying anything thinner as it lacks the longevity suitable for this application. Hopefully, this doesn’t come as too much of a surprise, but it will be very important for your greenhouse plastic to transmit as much light to your plants as possible. While the actual value is not as always directly listed, it is best to look for light transmittance percentages of at least 80% and preferably more than 90%. While it may not be as much of a concern in the summer months, the extra light transmittance from your greenhouse plastic may pay off during those short days of spring and autumn. Being more than just the annoying reason why you got to put on sunblock, UV radiation is a big deal for greenhouse plastic as well. Not to get too deep into the weeds on the chemistry of this one, but the continual exposure an excellentof the plastic to UV radiation degrades the plastic over time. Fortunately, though, science has prevailed (at least sort of). It is not very common for greenhouse plastic to include special additives from the manufacturing process that helps slow down the degradation from UV radiation. This allows you to get more years out of your plastic and is especially valuable if you’re building a greenhouse for season extension. We strongly recommend that at a minimum you verify that your greenhouse plastic has been treated for UV radiation. While it would be easy to not consider the addition of anti-dust protection, there are situations in which it can be an absolute lifesaver. First things first, it helps to understand what exactly we mean when we say anti-dust. Typically, this means that one side of the greenhouse plastic features altered electrostatic properties that make it more difficult for dust to adhere. Note that the side with the anti-dust properties will need to face the outside for this to work. While this may not be a totally necessary feature in some regions, farms that operate in very dusty areas should ensure they purchase greenhouse plastic with this feature. Here are our favorite greenhouse plastics on the market today. 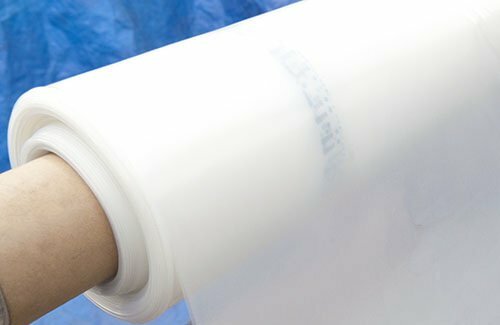 A greenhouse plastic designed for maximum functionality, this Suncover film has everything you could look for. Featuring a five-layer design, this plastic has protections against IR, UV radiation and includes anti-dust properties while allows a high light transmittance. For farmers that frequently experience dusty conditions, this product would be a great choice as it can help reduce the amount of light lost from dust caking. While the price point might be slightly higher than others, this would be low-density greenhouse plastic for farms looking for top performance out of their greenhouses. A variety of different sizes are available and this would be a great product for a wide range of applications. Users have consistently remarked on the durability of the plastic. Made in Tennessee by a staff with decades of experience in the greenhouse world, this greenhouse plastic from Grower’s Solution has a variety of helpful features. Boasting a light transmittance of 91%, this plastic ensures that your plants get the light they need. As buyers frequently remark at how durable the plastic is, this would be a great choice for farms that have a higher risk of damaging storms. 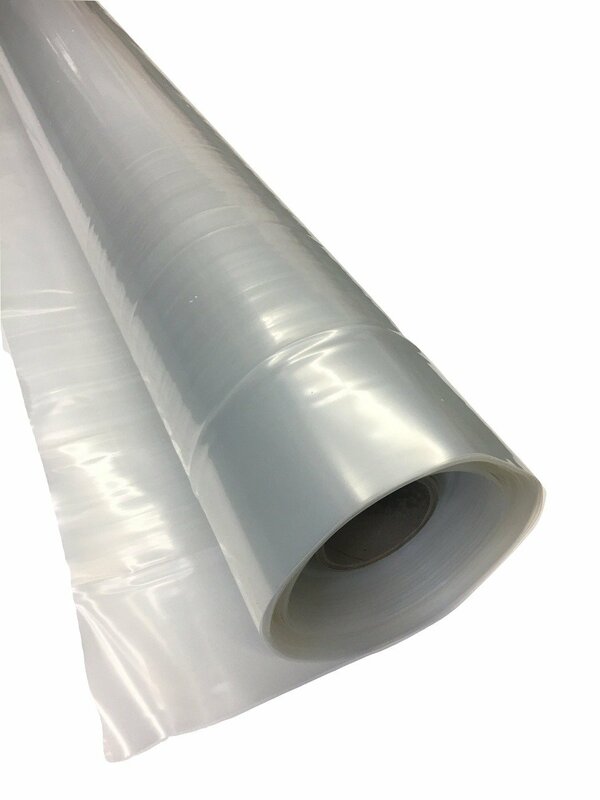 This plastic features an IR additive that is designed to reduce variability in the temperature of your greenhouse and to help prevent heat loss. 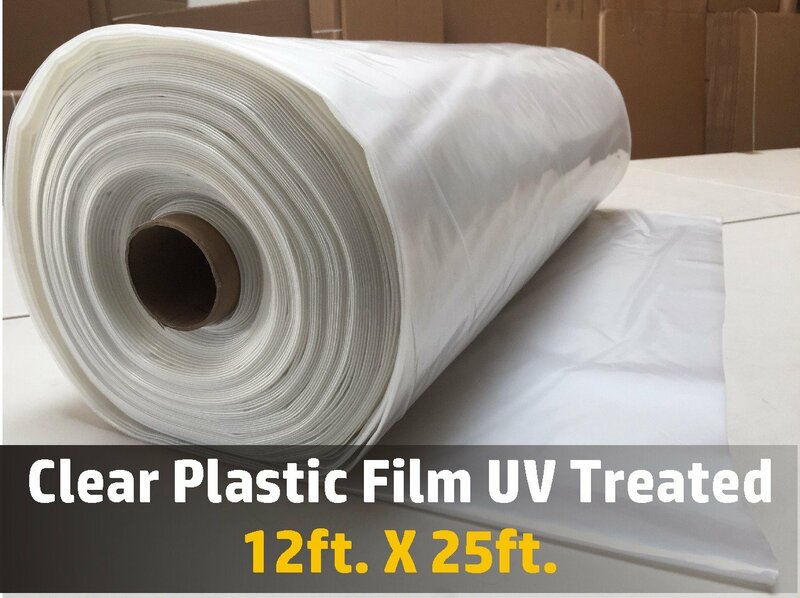 With a name that leaves no doubt as to how well they know greenhouse plastic, Farm Plastic Supply provides a great greenhouse film. At 6 mil thick, their plastic is thick enough for proper durability but clear enough to let the light in. Designed for years of use, this plastic would be a great choice for farms looking for a reliable plastic they can count on. While it doesn’t contain anti-dust protection, most farms can get by without it given they properly maintain their greenhouse plastic. Made by a family-owned company with years of experience in the industry, this greenhouse plastic comes in a variety of different sizes. While a relatively young company, you can rest assured that you’re getting a quality product from Bootstrap Farmer as they use everything they sell on their very own farm. 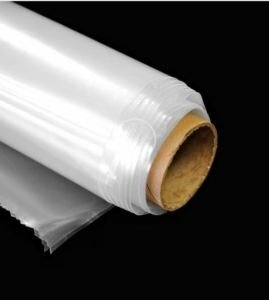 This greenhouse plastic from them is a little different from the others on our list, as it is specially formulated for use with long greenhouse tunnels. Featuring protection from UV radiation and a layer that incorporates anti-dust properties, this greenhouse plastic has the functionality needed by many. Due to the anti-dust properties this plastic would be a great choice for farmers who operate in dusty regions of the country. This greenhouse plastic also features an anti-drip film and therefore this would be a good choice for farmers that struggle to control condensation in their greenhouses. Made from low-density polyethylene, this greenhouse plastic from Sunview features both excellent durability and high light transmittance. This plastic utilizes an additive that helps prevent degradation from UV radiation, which can help extend the lifetime of the product. Buyers have remarked that this plastic has held up well in storms. 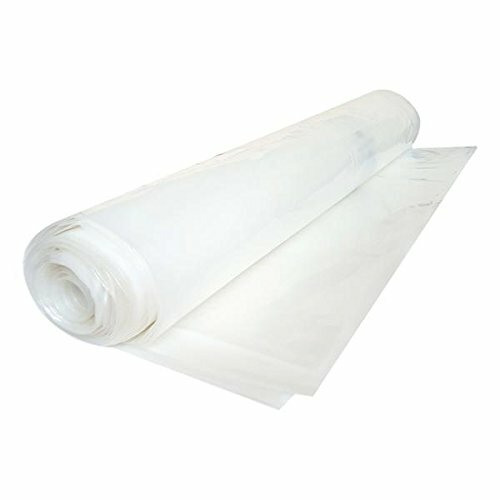 As this is only available in the 12′ by 25′ size, this plastic is best reserved for small-scale projects. While it was a close call, our top pick for the best greenhouse plastic is the plastic made by Farm Plastic Supply. A leader in the industry, their experienced team has a great product that comes in a wide variety of configurations. While others may be interested in the anti-dust properties associated with some of the other products, the greenhouse plastic from Farm Plastic Supply is a great all-around plastic. Grass Farming: What is it?